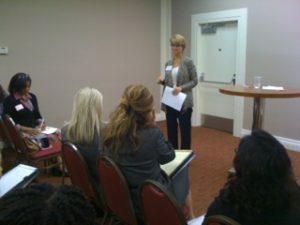 On Tuesday morning, I had a great time meeting and conducting a workshop called Living in Transition with Aliveness and Courage at the Women For Hire Expo in Los Angeles. 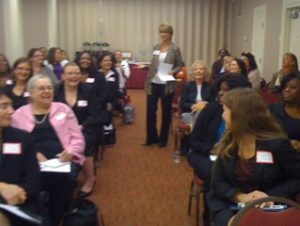 The women I met were so motivated and on top of their game. Paying attention to their strengths, they are leveraging what they’ve got to get out and start their own entrepreneurial ventures, while in the meantime are prepared to meet employers who need sharp and willing people who will get the job done. No whiners in this bunch. I was really impressed with their humor and persistence, two attributes we can all use when the going gets slow.